Bags I sleep up the top! Rooms with 3 or 4 beds at Le Flourou all have private bathrooms : loo, shower, basin. Sheets are of course provided, but don’t forget to bring towels. En famille, with your mates, the girls’ room, the boys’ room, you decide, it can be any of these and other ideas probably. 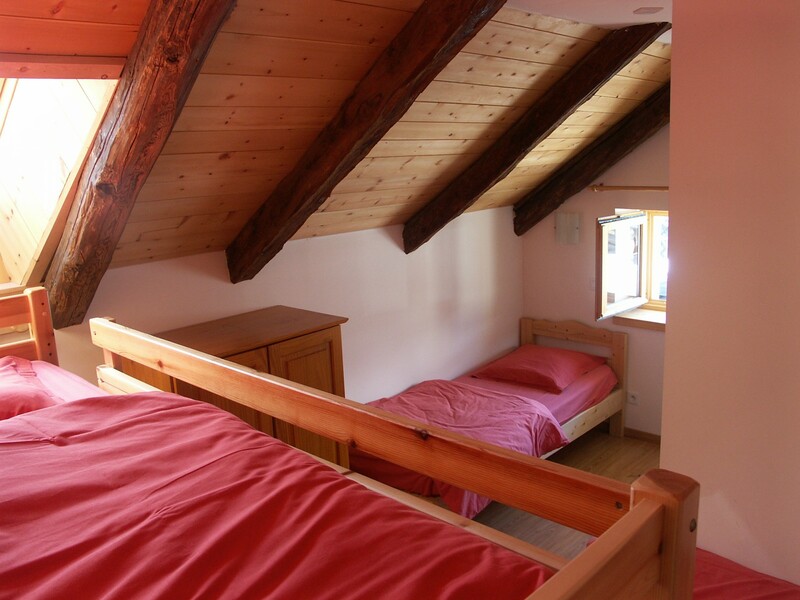 It can have the feel of a stay in a mountain hut but with added comfort.